The fifth installment of the epic Walt Disney Studios’ films Pirates of the Caribbean is now out on Digital HD. Pirates of the Caribbean: Dead Men Tell No Tales continues the adventures of Captain Jack Sparrow as he finds himself on the run from the charred and angry crew of a ghost ship out for revenge against the swaggering pirate. Sparrow finds himself teamed with Henry, the son of Will Turner, and a brilliant astronomer named Carina on a quest across the ocean to find the legendary Trident of Poseidon and defeat the undead Captain Salazar. To celebrate its release myself and my fellow blogger friends went to the beach in Santa Monica, right next to the world famous Santa Monica Pier. 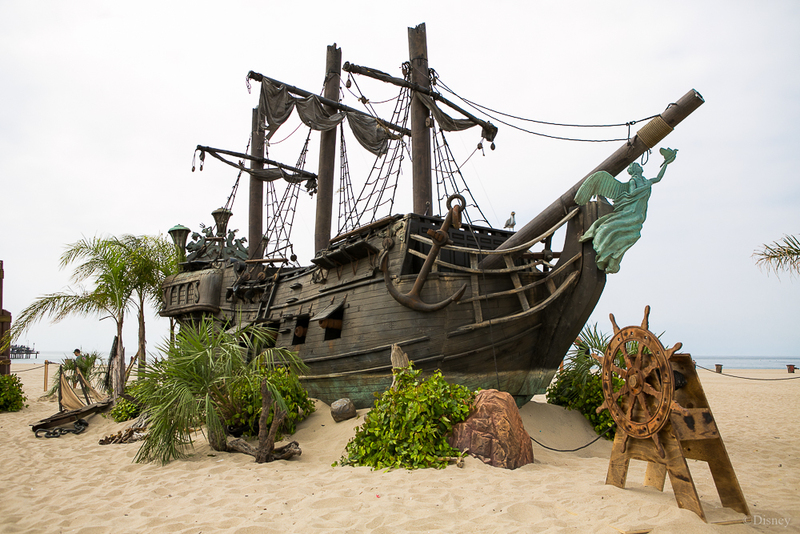 There you could find all of us in pirate garb, taking selfies in front of a 1/3 scale replica of the Black Pearl, while also learning important pirate skills, such as loading a canon and filling up treasure chests as fast as we can! We also had the pleasure of meeting Martin Klebber, who plays Marty, a member of Captain Jack Sparrow’s crew. In addition, we met with Tony Angelotti who was Johnny Depp’s stunt double in a few of the Pirates movies, and Lisa Hoyle who was Keira Knightley’s stunt double. They all were quite excited about the 5th movie, feeling it had more of the original tone of the original film. From listening to them speak, it was clear that during the film making there were lots of fun, lots of unexpected situations in dealing with tropical weather and elaborate stunts, and memories to last them a lifetime! You can have your own pirate fun at home with your family watching Pirates of the Caribbean: Dead Men Tell No Tales now on Digital HD, and Blu-Ray and 4K Ultra HD on October 3rd!